If you’re looking for a fun and easy to read bible for children 9-12 years of age. 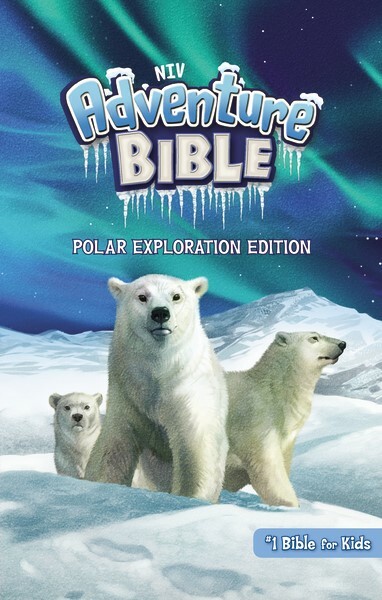 Look no further than the NIV Adventure Bible, now in an all-new polar exploration theme! While on this arctic adventure, readers meet all types of people, see all sorts of places, and learn all kinds of facts about the Bible. And most importantly you’ll grow closer in your relationship with God. With over 9 million copies sold, the Adventure Bible brand is beloved by Christian schools, churches, and families alike. Now, the #1 Bible for kids, including all of the trusted essentials loved by parents, is available in an exciting polar exploration theme! I’m a huge fan of all of the Adventure Bibles but this one I especially love. For one, because of the awesome illustrations and the hands-on activities that help children apply biblical truths to their lives. I also feel that the bible really mirrors that of an adult NIV Bible with a concordance in the back, this is important as they grow and move up to an adult bible it won’t seem foreign to them. What I love the most about this bible is the How Do You Know that you are a Christian. The fact that they put it right at the front of the bible was a big plus for me. I personally believe that it’s never too early to evangelize and talk to children about Jesus and asking him to come into their heart. Using the ABC’s made it more relatable in my opinion. 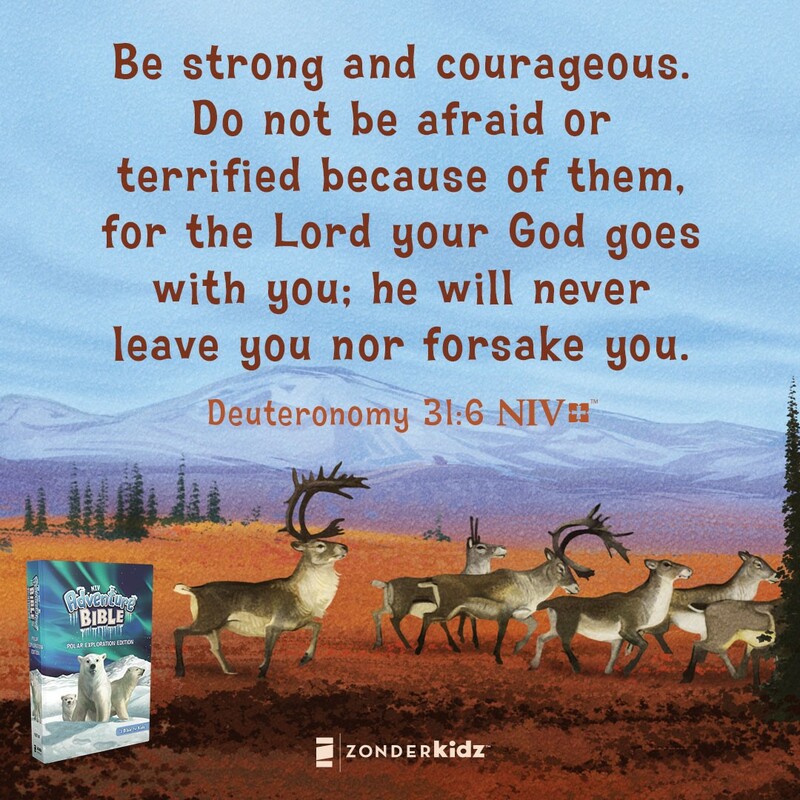 The NIV Adventure Bible has a devotional called NIV Adventure Bible Book of Devotions, Polar Exploration Edition.